"Say it wrong one more time, I double dog dare you!" 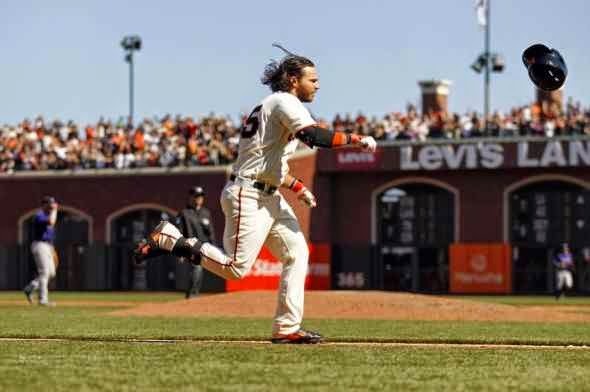 My hope for this week is that San Francisco Giants play-by-play man Duane Kuiper stops calling Mike Morse “Michael Morris.” I get it, the first couple of days, sure, “Morse” becomes “Morris.” But this is two weeks in. Kuip takes pains to get Jean Machi's name right (at least it seems like it), but Morse is constantly Morris. Color man Mike Krukow messed it up a couple of times, but he's got it pretty much down. 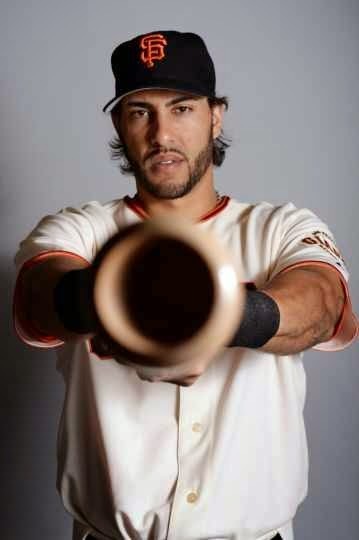 Also, when he was in Seattle he was always "Mike Morse." When did he get so formal? And two weeks in, if that's the biggest problem I have with the season, I'd say it's going all right. It seems rather obvious that the weirdest thing is that Matt Cain still doesn't have a win- he's started three of SF's five losses, which is seems patently ridiculous, but Saturday he pitched quite well in a 1-0 shutout loss. If you 100-million dollar man is 0-2, I don't think too many teams would expect to be 8-5 and a game out of first. But that's where the G-men are. Saturday's performance was a “bear down” kind of game for Matty C, and one would think that would give him plenty of confidence heading into this week. He won't pitch against the Dodgers, he's scheduled to start the first game of the road trip Friday in San Diego. But the man who opens the series against Los Angeles is the fellow who has most observers on the worried side, and that's Tim Lincecum. (It could be the curious mustache.) Two starts, no more than five innings in each, and a 9.90 ERA. 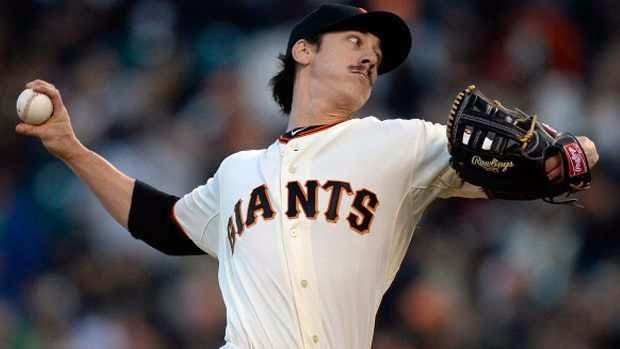 However, despite Timmy's recent overall struggles, he's 4-1 with a 2.55 ERA in his last seven starts against the boys in blue, and has considerable “ownage” against the Dodgers hottest hitter, Adrian Gonzalez. While A-Gone has homered in 5 straight games, against Timmy C he's a very pedestrian 11 for 52 with no round trippers entering Tuesday night. So he's got that going for him, which is nice. Every Lincecum start is watched closely by the fans, and this one- with a chance to tie LA for first with a win- even more so. Yeah, it's probably the mustache. As for another guy who was a question mark coming into the season, the other Tim has quickly shown himself to be a boss. Hudson has thrown into the 8th in all three of his starts, and if not for a bullpen hiccup he'd be 3-0. He hasn't even issued a walk, intentional or otherwise, the longest an SF starter has gone without a walk to open the season since Atlee Hammaker in 1983. The question here is how long his 38 year old arm will be able to keep it up. All pitchers show signs of wear at some point in the season, the hope in these parts is that Hudson's floundering will occur when the other starters are throwing into the eighth themselves. At the bat, I am wondering how long this home run barrage will keep up. Incredibly, the Giants lead the majors in total home runs, the latest one being Brandon Crawford's first walk-off dinger as well as his first Splash Hit. When your shortstop who was being threatened with the word “platoon” against certain left-handed pitchers is mashing, something is going right. Some may say “is BALCO operating under an assumed name?” to explain this power surge, but those people are clearly Houston Astros fans who have forgotten about Ken Caminiti. "Won't be needing this any more!" Nine in a row before the next scheduled off day a week from Thursday. Three against LA, three in San Diego and three in Colorado. The Giants have only one series against a non-division foe this month, meaning they'll already have 25 games against the teams they need to do the best against before the calendar changes. Important to keep up the whole winning thing. Indeed. I just hope that Michael Morris keeps up his power surge (he's batting .350, with 2 HR's and 10 RBI, nice way to start). Dangit, Kuip, now you've got me saying it wrong.